NC HEAT is a youth-led organization. We use peer education and organizing campaigns to advocate for youth liberation by defending schools against destructive cut-backs, privatization and austerity; organizing to end to the school-to-prison pipeline, promote safety & security for LGBTQ students, and secure resources and equality for immigrant youth. In 2011 NC HEAT launched a boycott of Variety Wholesalers Stores, which are owned and operated by the leading conservative donor in NC. Art Pope, who is also President of Americans for Prosperity and works with the Koch brothers, a major Tea Party funder. 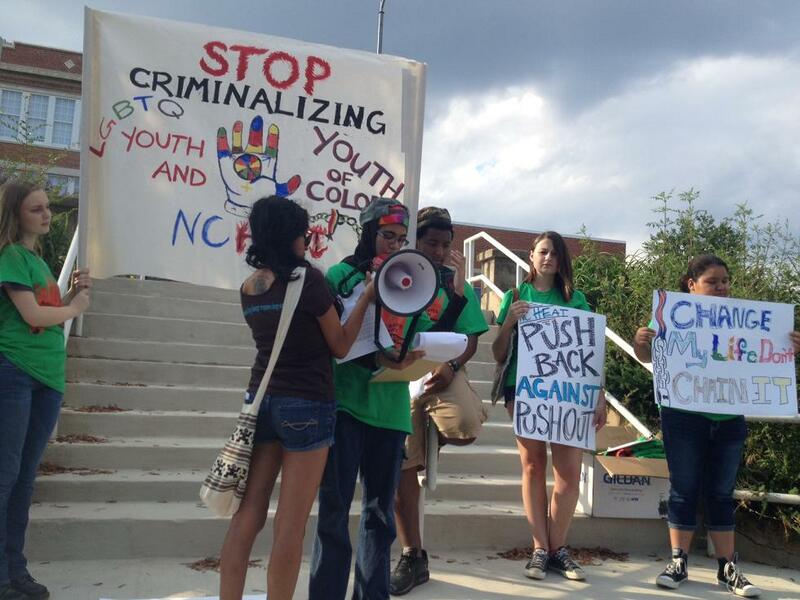 Currently NC HEAT is in the process of building a coalition to launch a Campaign for a Moratorium on Out-of-School Suspensions. I am applying for my son, he is currently in middle school but was in a group like this when he attended school in NY last year and has a talent for technology, he built a website in 5th grade. He is an advocate for equal rights, green living and diversity thus your group would be like home for him. Please consider him for early membership.